About thirty years ago — that is, ten years before I was born — the first group of Baha’i youth was prevented from studying at universities due to their beliefs. Among them was my mother who was expelled in her last term of study. Since then, many years have passed — years that have witnessed changes and revolutions throughout the globe, particularly in the social and civil realms, including acquisition of lost rights and freedoms, establishment of standards of social justice, movement of societies towards allegiance to human rights. Unfortunately, despite all these, after the passage of thirty years, because of our belief in the Baha’i Faith many friends of mine and I are still deprived of our basic right to a higher education in Iran, our beloved homeland. Of course, this is not the first time that I have been deprived of my rights. I have frequently tasted the savor of discrimination. However, none of these events have lessened my deep desire to serve my country, which I deeply love. 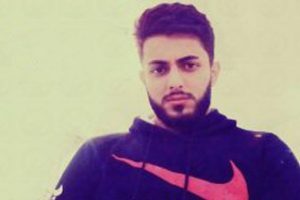 I have been deprived of entering a high school for gifted students despite being accepted on the entrance exam, and I have been deprived of participating in the final exams of three high school grades because of being detained and interrogated for providing services to children in deprived areas of Shiraz and performing humanitarian activities. Last year, I was completely ready to take part in the national university entrance exam. 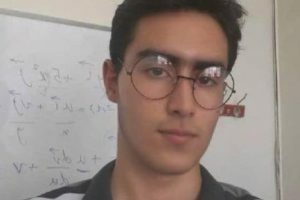 Unfortunately, the Evaluation and Assessment Organization informed me that similarly to other Baha’i students, I would not be allowed to continue my studies. Many times I visited their offices, just to be told the same thing. In February, I found another way of entering university and circumventing the barriers of the Evaluation Organization. 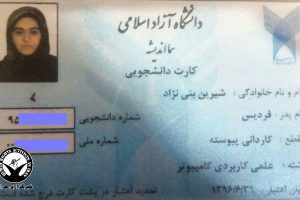 This required that I study for one term at Sahand Industrial University in Tabriz, and if I could succeed, I would be accepted as a university student. I enrolled in the first semester and successfully completed my courses. I was among the fifteen “provisional students” out of several hundred who was then accepted as a full-time student into the university. Therefore, I registered in the medical engineering field for the second term. The registration form had a religion column with multiple choices and I marked “other religions.” However, every student other than me received a student ID card. Several times I went to the university administrative offices inquiring about my student ID card. Finally at the time of final exams, the University President told me to take final exams without my ID card, which he said had been issued, but was at the security section. He told me to follow up on the issue after the exams. I passed all the exams, and like other students, used the university website to register for the third term and select my courses. From the beginning of the semester, though, all information about my courses and registration disappeared. Since all the classes were online, this meant that I was deprived of further education. Several times I contacted responsible authorities to resolve the problem. However, every time they deferred the case to a later time. Immediately, I contacted the responsible authorities and they told me that it had nothing to do with them and that I had to go to the Evaluation and Assessment Organization, as this body had deactivated my education license. According to Article 20 of Iran’s Constitution, every citizen of this nation has the right to all human, political, economical, social, and cultural provisions. Article 23 of the same document prohibits investigation of beliefs, and prohibits inquiries and discrimination on the basis of one’s religion. In Article 30, the government is stated to be responsible for providing higher education facilities to the entire nation. All these provisions of the law are in sharp contrast with the actions of the actual responsible authorities, and their treatment and decisions with respect to minority groups. Therefore, the question is raised: Who is responsible for this injustice and lawlessness? Where in the Constitution do we find support for the authorities’ actions? As an Iranian citizen, I love my sacred homeland to the point that I am willing to sacrifice my life for the exaltation of this noble nation. My highest and most cherished wish is to use my education in service to this country. I am determined to use every moment of my life in the path of service to mankind, especially to my beloved Iran and Iranians. Has the time not come for an equitable look at the Baha’i community, to put aside every prejudice, and to give back their rights to Baha’i youth? There is no future in a country that kicks out its brightest from higher education. It is a significant loss that Iran is oppressing people who really can contribute to the good of the Iranian nation. The free allies profited much from the exile of great thinkers from Nazi controlled Europe during the 1930’s and 40’s. Just think of the great names of people who would have passed away in concentration camps if they had not escaped the holocaust: Albert Einstein, Paul Warburg (founder of the federal reserve bank), Otto Klemperer (orchestra conductor extraordinaire), Seigfried Kracauer ( influential writer and critic), Otto Stern (Nobel prize winner in physics), James Frank (Nobel prize winner in physics), Josef Albers (influential art educator), Maurice Abravanel (famed orchestra conductor), Felix Fleischner (great radiologist), Salome Gluecksohn-Waelsch (molecular geneticist), Max Born (one of the 20th centuries greatest physicist along with Einstein)…..I could list other names, but what a brain drain occurred when Nazis decimated Germany and Europe and what a loss to the World if the Nazis had exterminated these people. I can say that many of these brilliant people ended up professors in institutions in the free parts of the West, and the United States and Britain are the richer for their contributions to our nations. Like Nasser has written above, it is sad that religious prejudice and the political muscle to enforce this oppression have trumped what is really in Iran’s best long-term interest. Yes, dear Sama Noorani, it has. Thank for your excellent essay.